When the Nokia 808 PureView was announced earlier this year its 41MP camera sensor (for a maximum output resolution of 38MP) made headlines all over the tech industry. Not only does it feature the highest-resolution sensor of any mobile phone camera, but at the time of writing, the 808 PureView features the highest-resolution sensor of any current camera outside of highly specialist (and very costly) medium format equipment. 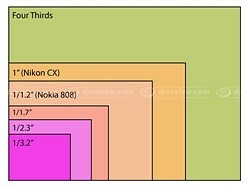 The Nokia 808 PureView's large CMOS sensor has 41MP total, outputting a maximum of 38MP (resolution drops to 36MP in 16:9 aspect ratio). Such a high resolution sensor would be little more than a stunt if the camera specifications aren't up to scratch, but Nokia has designed the 808 to be a serious photographic tool. As well as some pretty impressive hardware, Nokia has also included a raft of enthusiast-friendly photographic features in the 808 including manual control over white balance, ISO and exposure (via exposure compensation and bracketing). Exposure compensation is as good as it gets though, in terms of manual exposure control - the 808 does not offer PASM modes (not unsurprisingly). 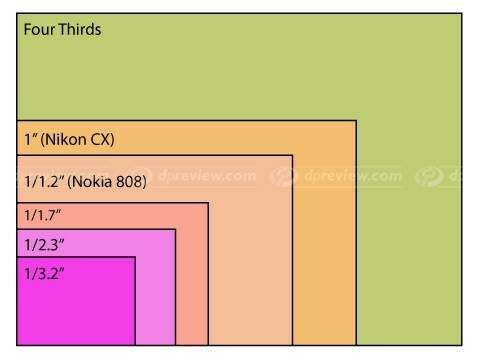 This diagram shows the size of the Nokia 808 PureView's 1/1.2" sensor in comparison to those used in various compact cameras and mobile phones. A Four Thirds sensor is included for scale. As you can see, the 808 PureView is packing quite an impressive sensor, much larger than those found in compact cameras, and not that much smaller than the CX-format sensors used by Nikon 1 and Sony RX100. The Finnish company is at pains to point out that when it comes to image capture, the 808's headline specification of 41MP is far from the whole story. 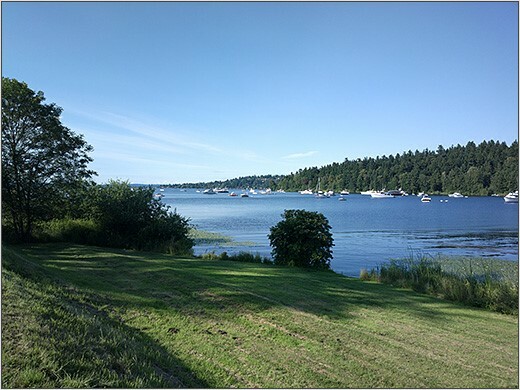 In fact, one of the reasons why Nokia has incorporated such a high pixel count is to allow the 808 to produce better quality lower-resolution images (3MP, 5MP or 8MP). While it might sound counterintuitive to shoot a 38MP camera at 3MP, it actually makes a lot of sense in a device of this type. Apart from anything else, if you are one of those people whose first reaction to this product was to scream 'you don't need 41MP in a camera phone! The world has gone mad! The sky is falling in!' in a sense you were right - most people simply don't need to capture such high-resolution images on a phone. But what you probably do want from a cellphone camera is good image quality, decent speed and responsiveness, and wouldn't it be nice to have a zoom, too? That's what the 808's lower-resolution PureView modes are designed to allow. Putting optical zooms into cellphone cameras is hard. Really really hard, which is why manufacturers tend to include digital zooms instead. Effectively just cropping and upsizing, conventional digital zoom kills image quality. Normally, the instinct of any serious digital photographer would be to run away from 'digital zoom' features for precisely this reason. But the 808 is very far from conventional. Images captured in the 808's PureView modes are created by oversampling from the sensor's full resolution. At the 808's 'native' focal length of 28mm equivalent, the oversampling ratio is 14:1 for 3MP images, compared to 8:1 for 5MP and 5:1 for 8MP. In Nokia's words, 'pixel oversampling combines many pixels to create a single (super) pixel'. In theory then, at 28mm (equivalent) - i.e., without any 'zoom', the camera's 3MP PureView output should give the best critical image quality, followed by 5MP, then 8MP, and then 38MP. When fully zoomed in, all four output modes will give the same pixel-level image quality, since at this point there is no oversampling going on -as incated by '1:1' in the graph above. How much you can 'zoom' using the 808 depends on what output resolution mode you're in. If you're shooting at full resolution you can't zoom at all - you're stuck with the lens' native 28mm (equivalent) focal length. 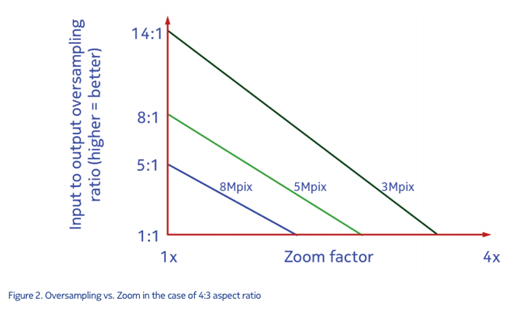 In 3MP PureView mode you get the equivalent of a 3.6X 'zoom' - this drops to roughly 3X in 5MP mode, and about 2X in 8MP mode. The table below shows four images, taken at the 'longest' extent of the 'zoom' in each of the 808's output resolution modes. omg! how much do you guys get paid to glaze-over facts. going on about zoom, for a whole paragraph, going through immense efforts to avoid using the term "digital zoom" and "no optical zoom". It does not have _any_ zoom from what you are saying - it's just a crop. Why don't you just call a spade a spade, instead of beating around the bush? in your image comparing sensor sizes, you write "four thirds" instead of mft or "micro four thirds". the Nokia 808 PureView's effective flash range is virtually maintained at all zoom levels, rather than being significantly reduced as the zoom increases. Here is the issue I have with this. You don't need 38MP on a mobile phone, zoom or not. As you can see from the images above. You could walk a few meters and stand on the river bed to take the 3.6 x zoom photo. The high resolution has completely taken full focus of the communications when it should be about extending the capabilities of the phone lens, image processing and the great work on the sensor size. I'd wish to have an Android phone with this kind of camera. I think you should mention the screen resolution and dpi or pixels per cm or something like that in the specs. It is not exactly about photographic quality, but of high interest to photographers anyway. You also discuss resolution in your tablet reviews. where are the full res test scenes? Early in the review you state that the large mp pixel count is "no gimmick". If that's true, then where are the test scene samples shot at the full no gimmick resolution? You are comparing a 40mp camera against 8mp cameras and you gimp the 40mp camera by making it shoot in 8mp? What the heck? How's this help us decide between an iphone 5 and a pureview if you only provide the pureview samples at iphone resolution? Crap, they removed the Pureview in the Studio Comparison tool in the dpreview site. In summary, there's no compact camera can come close in terms of detail and ISO performance of the 808. So, Canon s100 or Panasonic's LX5 doesn't stand a chance and any phone should be miles away from the 38MP mode. In your opinion zodiacfml, what camera (enthusiast, DSLR, etc.) comes closest to the image quality of the Pureview? It's hard to tell since I haven't tried to reduce the image size to match some cameras but it's like a Nikon D800 then blur it by an amount to match it. IMHO though, it's not relevant as long it beats carrying a compact camera. Now, I just want this with a modern operating system. The problem is.. most "modern" operating systems can't support the 808 tech, they need to be further modernized in order to do so. So in a sense.. the modern ones are still catching up to the old.. outdated one. I don't see the point in shooting in full resolution mode.. the whole point of the projects was to provide zooming (cropping in real time from the full res image) and also combining pixels, in order to get more detail and less noise. The system works very well overall. NO it is NOT like a nikon d800, only a retard or an utter moron would claim so, you have dropped the IQ of everyone here down by 50% with your ignorant statement. Great review! 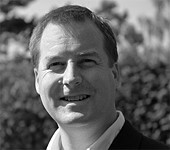 DxO's report is impressive .. Excellent detailed review. Very good integration with DxO data. Good black test on white background. Did you also take the test chart at full resolution? I can only the 8MP Pureview mode, and that doesn't (quite) capture all the detail that comes from the full resolution shots. At least not in good light. My #1 criticism is that it doesn't have optical image stabilization. Although, I'd say #2 is the lack of dynamic range. Just, at long last, finally been offered the firmware update. Time will tell whether it can fix the occasional dark images with manual ISO. I got a new firmware update FP2 last week to my Nokia 808 and it improves and fixes many things on this operating system and now I feel this is a real allover competitor against iPhone 5, Samsung S3 and HTC One X or soon coming new Nokia Lumia, Samsung and HTC WP8 phones. You tested Nokia 808 with its old Nokia Belle FP1 OS - right? I agree that Nokia 808 blows its competition out of the water at photos and videos because its huge image sensor, oversampling technology and lossless zoom. Besides that 808's quality of the recorded audio is unbeatable - thanks for its HAAC (High Amplitude Audio Capture) microphones (2pcs) the audio is never distorted even at the loudest heavy metal concerts. Its rivals (also iPhone 5) have nonHAAC mics and so the audio is many times distorted. 808's Rich Recording technology can also produce very naturally the low bass sound which these rivals can't do. Was there some particular reason to use different shutter speeds? There's also a huge difference (1/3-2/3 stops) in exposure. Also using 808 as primary smartphone and primary camera. Could do with auto-HDR (mentioned in review), panorama (other than the one in the Camera Lover Pack app which isn't very good) and still image stabilisation (also mentioned in review). Other than that, it's brill! Thanks Nokia, Symbian and DD's team! I've been using an 808 as my primary smartphone, and my primary camera for over two months now.. its great, I don't think I will ever go back to buying a dedicated P&S camera again. Following our review of the Nokia 808 PureView, Damian Dinning - Lead program manager of Imaging Experience at Nokia - wrote to us responding to some of the issues that we raised and explaining why those decisions were made in the phone's development. In addition to featuring the largest, highest-pixel-count sensor of any smartphone, the 808 also offers the most advanced camera features - including manually selectable ISO sensitivity from 50-1600, exposure bracketing and five white balance presets. Click through to read Dinning's thoughts on our review conclusions.